As I said in my first blog post, I came from a city called little Amsterdam because of bikes. Therefore it was obvious that I would buy a bike here. I wanted to buy the cheapest bike possible. You can buy some old rusty bike for 50-80 euros from someone. 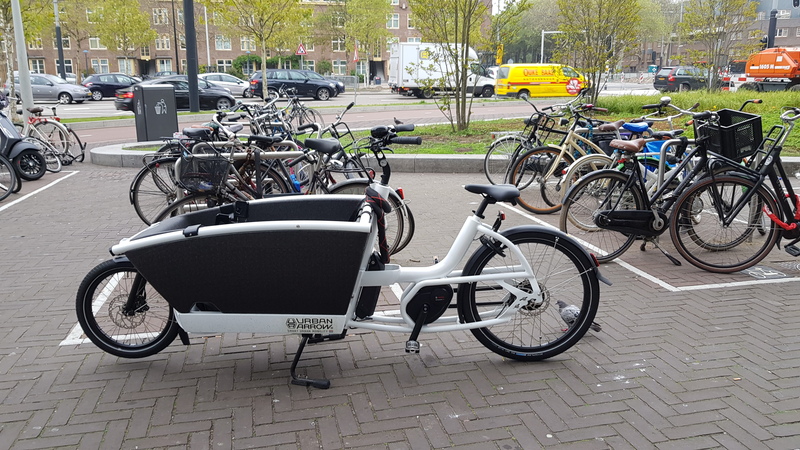 But there was the first shock – I was thinking about Amsterdam as a city where you can let your bike without locking and after two months it will be still there. I was totally wrong. There is a huge problem with stealing bikes. And if you buy a stolen bike, you will have a serious problem. For that reason, I went to the bike shop looking for a second-hand bike. Damn, it is much more expensive. But I was lucky. I found it. 100 euros – “cheapest but one of the ugliest bikes”, as the salesman said. Except for the look, the salesman had to use the hammer to adjust the seat, but it is a bike, my bike now. From that day I‘ve never used public transportation in Amsterdam. 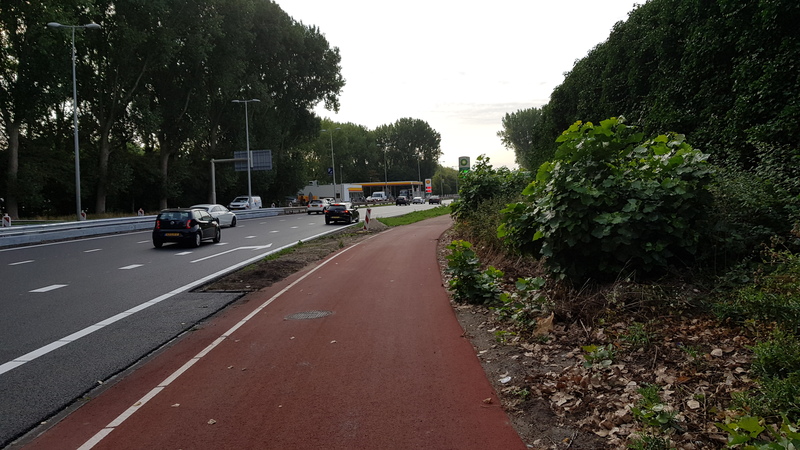 The first day, I discovered the motto of Dutch people: “Why would you be in the traffic jam in your car, when you can be in the traffic jam on your bike”. Most people here go to work with their bike, and you can go everywhere by bike. Amsterdam is owned by cyclists. If you walk on the cycling path they won’t stop and you will be driven over. (Not really, however, I am not going to try that.) They even have separate traffic lights for cyclists everywhere and a lot of underground garages for bikes. It took me two or three days to adapt to their rules. Because nobody respects the rules here. Is it a red light? No problem. You have right of way and somebody crossing your way? No problem he just accelerates to be faster than you. If you adapt to these unwritten rules you will have a nice time on a bike here. The opposite story is the city center where most of the cyclist (actually most of the people) are tourists. They don’t know how to ride a bike here and also pedestrians do not respect cyclists there. That’s why I parked my bike in the parking boat every time I went to the city center. Yes, park your bike in a place which is supposed to, otherwise, it is quite possible that your bike will be towed away. I was cycling to work every day. It was 10 km from where I was staying. If instead I used public transportation it would take me the same amount of time and I would have to pay for it. So it is also a free work-out. If only other cities will be the same.